Jose Mourinho and his squad made a slip-up which has given Liverpool more breathing space at the top of the Premier League. Chelsea suffered a surprising 2-1 defeat against the relegation threatened club Sunderland and now the league title is in the hands of Liverpool and it will be theirs as long as they don’t drop any points during the remainder of the season. Chelsea has been hit with a further blow as they received news concerning the condition of Petr Cech and John Terry. Both of them sustained injuries during the Champions League match against Athletic Madrid and medical scans have revealed that neither of them will be available to play for the remaining matches of the campaign. The 1st leg of the Champions League match against Athletic Madrid concluded with a 0-0 draw but Mourinho was happy about the result as everything will be decided when they play on April 30 at Stamford Bridge. Mourinho also went on talking about his priorities in charge of Chelsea as he said that the Premier League is not his main focus and the Portuguese coach is even considering resting some of his key players during their Premier League match against Liverpool and instead prepare them for the 2nd leg of the Champions League which is scheduled to be played only 3 days later. Czech Republic star Tomas Rosicky has stated that Arsenal need to match the aggression of Stoke City if they are to come away from the Britannia stadium with three points. Arsenal will be under pressure to get a win at this ground where they have struggled in recent years. They have managed just one win in the last seven visits to this ground. Since they are in the midst of a title race, Arsenal cannot afford to drop any more points between now and the end of the season. Poor form in February has already cost the team heavily, as they have slipped to third in the table. Rosicky has been an important player for Arsenal this season, as he has finally managed to overcome his injury problems of recent years. He recently extended his spell at Arsenal with the new one-year contract, which appears to have put down rumours surrounding his future. He only had a few months left on his contract before signing this new deal. He may have scored only two goals throughout the season, but his overall play has helped his teammates find the back of the net on a regular basis. Rosicky will not be going to the World Cup after this Czech Republic national team failed to qualify for the tournament. He will now be looking to get to the national team back on track by qualifying for Euro 2016. “[I‘m expecting] a typical game when you go to Stoke. It’s always very similar – they are a very physical side, very aggressive and it’s a very tough place to go. All the away games are pretty similar so we need to be really well prepared [for a] physical and aggressive style of play. We need to match them in those attributes,” said the 33-year-old ahead of the match. Czech Republic national team boss Pavel Vrba has targeted Euro 2016 qualification after the nation missed out on reaching the World Cup 2014 party. Czech Republic were one of the favourites to qualify for this tournament, but they suffered badly in the qualifying stages. This led to the appointment of Vrba recently, and he has said that the national team will be playing in the same attacking sense that his team of FC Vikoria Plzeň have done before his exit in 2013. Vikoria Plzeň gained a reputation for their style of football, and Vrba wants to introduce this into the national team as well. After their failure to reach the World Cup, Vrba has already begun work on qualifying for the European Championships. He says that the nation has witnessed a boom with regard to attacking and he wants to use this for the national team as well. Vrba will learn the opponents in the European Championship qualifying stages next week, as the draw is conducted for this by UEFA. Former manager Michal Bílek resigned in September, and Vrba was the overwhelming favourite to take over. Vrba says that he has had the advantage of training players of almost every age. This may come in handy when dealing with stars like Petr Cech, who are at the top of the game. “I want the national side to play as Plzeň did, to copy their successful attacking football in some way. The Czech league has seen a recent boom in attacking styles that prevail over defensive. I want to capitalise on this trend. That said, a successful coach is the one with successful results. My great advantage is that I have trained teams at all age categories: I started with the smallest footballers and gradually went up to senior level,” said Vrba. After a furious of suffering from numerous injuries, Tomas Rosicky is finally up to his best and he has been playing regular football with his club team Arsenal. He is one of the important members of the Czech Republic national team, who have failed to qualify for the World Cup 2014. Even though the 33-year-old will not be featuring at the World Cup, national team manager Pavel Vrba does not see the reason why the midfielder should continue playing until he is 36 years of age. As a result, Vrba believes that the Euro 2016 will be the last major tournament for Rosicky if Czech Republic qualify for it. Preparations have already started in order to not get disappointed for the second major tournament running. This has been one of the talented Czech Republic teams in recent years with the presence of players like Petr Cech and Rosicky, but they failed to live up to expectations partly because most of the players are ageing. Vrba was recently appointed as the national team manager. A run of two victories in the final qualifying matches against Malta and Bulgaria were not enough to prevent Czech Republic from going out of the competition in the qualifying stages itself. Rosicky has been a crucial player for Arsenal this season, as they continue to dominate the table. “It’s all about health. I see no reason why Tomas should not play on until he is 38. Pavel Horvath is also older, but he is one of the key players over in Plzen, and the people love him. When I saw Tomas last, I saw no reason for him not to make it. We met with Mr Wenger, which for us was very informative. He himself said that Tomas has had one of his best phases during his time at Arsenal,” said Vrba. Czech Republic have appointed Pavel Vrba as their new manager and he is expected to join the national team from next month onwards. The nation recently failed to qualify for the FIFA World Cup 2014, which led to the resignation of Michal Bílek, who had been the national team manager since 2009. Since then, the national team has not been extraordinary in major tournaments, while they also missed out on qualifying for some of the tournaments as well. This is despite boasting a very strong team that includes the likes of Petr Cech and Tomas Rosicky. Vrba is currently in charge of Viktoria Plzen, who have been involved in the Champions League group stages this season. They have faced the likes of Bayern Munich and Manchester city in the group stages so for, but their future is now up in the air. They have failed to get any credit worthy results in the group stages being the rank outsiders. City and Bayern Munich have already sealed progression to the next stage, which leaves Viktoria Plzen with little options going forward. Viktoria Plzen have agreed to release the manager from December 15 onwards. Czech Republic’s chances of qualifying look bright. They were in the same group containing Italy and Denmark, but they could finish only in the third place. Bílek left the national team back in September, and they have been in charge of Josef Pesice. “Obviously I am delighted that we have got a coach who has had many great results and is respected and supported by footballing authorities and public alike,” said Vrba after the Czech Republic FA announced the deal. Vrba has been extremely successful with his club team over the last few years, as he has guided them to several league titles. The Champions League group stage qualification is also a feather in the cap for him. Czech Republic manager Michal Bilek recently quit the national team in the middle of the World Cup 2014 qualifying campaign. The football Association has moved in to appoint Josef Pesice as the interim manager until the end of the World Cup qualifying campaign. Czech Republic have been on a very poor run of form in recent years. Despite having a very talented squad that includes the likes of Chelsea goalkeeper Petr Cech and Arsenal midfielder Thomas Rosicky, there have been unable to make any inroads compared with teams in and around them. This led to the manager Michal Bilek quitting his job only recently. This left the national team without a manager ahead of crucial qualifying matches against the likes of Italy. Pesice has been appointed as the interim, and he will be hoping to secure the job on a permanent basis. Pesice is not new to the national team job because he has been the assistant to the former manager even in the last match for Bilek – against Italy. Czech Republic lost the match 2-1 after an error from Cech. The Chelsea goalkeeper was quick to acknowledge his error, which led to the goal. Czech Republic are currently fourth in the table with just nine points. They are four points below the final qualification spots. “I have asked Josef Pesice to perform the job of head coach for the (qualification) games in Malta and Bulgaria,” said Czech FA head Miroslav Pelta after confirming the appointment. “I had to palm the first ball away, this is my fault. We have to win in other games,” said the Chelsea goalkeeper after the match against Italy. Czech Republic took the lead in the 19th minute through Kozák, but Juventus defender Giorgio Chiellini equalised after 51 min. Milan striker Mario Balotelli scored the winner shortly afterwards. Manchester city have been one of the big spending clubs in Europe over the last five years. They have recently replaced Chelsea as the big spenders in the Premier league, but they have only two trophies to show for their expenditure in the last five years. They have once again spent close to £ 100 million in this summer trying to reclaim the Premier league trophy. Chelsea goalkeeper Petr Cech, who was one of the first big-money signings at this club, has questioned the continuous spending of the Middle East owners in the pursuit of trophies. City are one of the club’s facing the prospect of being eliminated from the European competitions as a result of not obliging with the UEFA financial fair play regulations. Cech has revealed that he is interested as to seeing how city cope with the pressure in the coming season. Unlike in the past, he believes that there will be at least five teams challenging for the Premier league title this season. Manchester United, Manchester city, and Chelsea are the obvious contenders, but he reckons that Arsenal and Tottenham will also have a chance to put up a title challenge as well. Chelsea’s season starts this match against Premier league newcomers Hull city on August 17. “I am thinking: ‘You have got a lot of players, let’s see how you are going to deal with it’. City keep spending money and bringing in players so obviously they have the intention of challenging for the title. Manchester United will challenge for the title and I believe that Liverpool and Tottenham will want to improve. Arsenal will want to prove everybody wrong. They will be wanting to prove that they are still hungry for success because the manager is under pressure for results,” said the 30-year-old Czech Republic goalie. Czech Republic goalkeeper Petr Cech has said that the entire Chelsea squad would not think twice about welcoming former manager José Mourinho to the club. The current Real Madrid boss has been linked with a return to Chelsea last few months now. After the Champions league semi-final exit for the Spanish club, it is really becoming apparent that Mourinho may return to his former stomping ground where he won two league titles and several other trophies. Cech was brought to the club by Mourinho back in 2004. He has managed to establish himself as one of the best in the world. The 30-year-old is at the peak of his powers right now. He has lavished the praise for Mourinho by saying that he is one of the best managers in the world and he has said that the haul of trophies by the Portuguese in the last decade is the testament to this fact. Cech has said that he really enjoyed working under Mourinho, but he has since played under eight different managers. There have been several calls for stability at the club, and Cech has also been quick to reiterate this fact. Rafa Benitez will leave the club at the end of the season after just a couple of months in charge. “He is one of the best coaches in the world. He is a great manager and if he comes back the fans will be very happy. It would be a pleasure to work with him, both for the players who know him already and those who don’t know him yet. The relief would be if the manager stays five years. We keep getting trophies and we keep changing managers. There are clubs who keep the same manager and haven’t won for a long time. So which way is better is hard to tell,” said Cech. Czech Republic were in danger of losing their coach Michal Bilek after the match against Armenia. The coach said that he would have no other option but to offer his resignation if the Czech Republic were to lose the match. The team came into the crucial World Cup qualifying match against the Armenians on the back of the disappointing 3-0 defeat against Denmark. This has left the hopes of qualifying for the 2014 FIFA World Cup in tatters. As a result of the defeat, Czech Republic are in the third position of the table. Only the teams finishing in the top two places will have a chance of qualifying. Italy continue to lead the table after having dropped just two points from the five matches played so far. Bulgaria are realistically the main competitors for Czech Republic. After the 2-0 win against Almeria, Bilek was able to look ahead to the hugely important World Cup qualifying match against Italy in June. Czech Republic have had the fortune of having several world-class players like Pavel Nedvěd, Jan Koller, Tomáš Rosický, and Petr Cech over the years. However, Bilek has said that it is increasingly becoming difficult for the small nation to produce world-class players on a consistent basis. “It’s true we’ve had several world stars in recent years. But in a small country like the Czech Republic, it’s not possible to constantly produce this type of player. It depends on many factors. But we already have some young players who can become future stars. The Czech national team has proved several times it can recover after failures. We’ve already dropped quite a few points in these qualifiers, but the situation can still be rectified,” said Bilek. 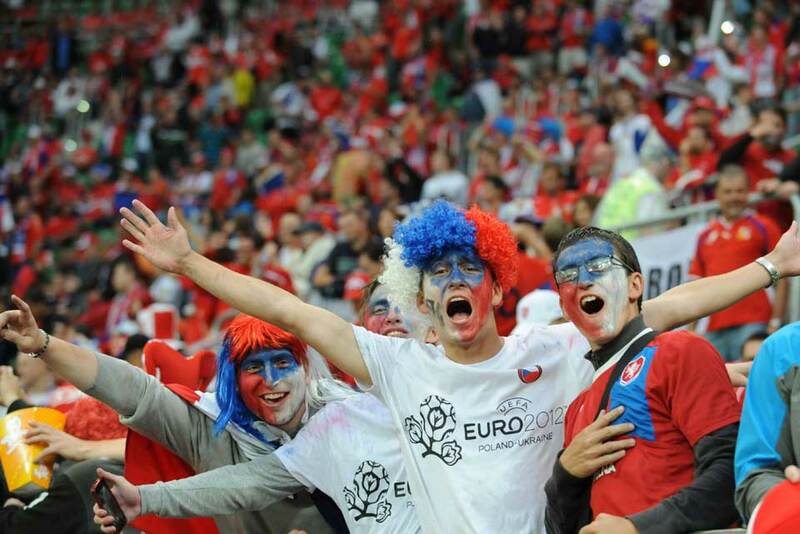 Czech Republic made an appearance at the recent Euro 2012, but they were extremely poor in the competition. Chelsea have been dealt a major blow with the news that the Czech Republic goalkeeper Petr Cech will be missing for the next three weeks after fracturing his finger in recent 3-2 defeat at the hands of Newcastle United. Petr Cech is recognised as one of the best goalkeepers in the world. He was instrumental in helping the club win the Champions league last season. The manager of the Czech Republic national team, Bilek will also have to do without the player for the friendly match against Turkey. Czech Republic won their last friendly match against Slovakia 3-0, which gives them the ability to be without Petr Cech due to the low pressure on the players. Cech returned to first-team action only recently after missing a few weeks due to an injury. The goalkeeper has revealed that he had suffered a small fracture in his little finger after his hand came in contact with a Newcastle player’s head while trying to play the ball. Chelsea will be taking on Wigan after the midweek round of international fixtures, while the Europa league action will be resuming next week. The Chelsea manager Rafa Benitez is under a lot of pressure after this latest defeat, which has left the team just one point clear of Tottenham. “I punched the ball and the head of one of Newcastle players at the same time. I thought it was nothing but went for an x-ray just in case. However, it showed there was a fracture. [Involvement in the first leg in Prague] will depend on whether we find a solution where it would not threaten my health and, at the same time, I would be able to perform adequately,” said Petr Cech after the Newcastle match. Czech Republic will have World Cup qualifying matches against Denmark and Armenia in March.